Who's racing on Sunday? The Elite Women will start their Olympic distance race at the ExCeL centre on Sunday at 10:25 am. Here are some of names to watch out for along with the full Elite start list. Headline name and race favourite is surely the 2011 and 2013 London Triathlon winner, Jodie Stimpson. Winner this year at both the World Triathlon Abu Dhabi and ITU Mooloolaba World Cup, Jodie is currently ranked no. 2 in the Columbia Threadneedle Rankings and is targetting an end-of-season podium finish in the World Championships. Jodie knows this course well and always enjoys racing at home with what is sure to be a very supportive and appreciative crowd behind her. 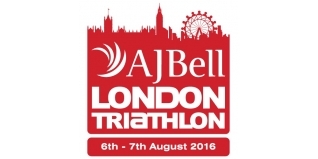 "I love any race at home but London Triathlon is a special race. With the age-group race being so popular it's just a massive triathlon weekend and cycling past Big Ben and the streets of London, well, you don't get to do that every day. The race this year will be a tough one for sure but I'm excited to be able to race before heading ofF to the US !" You can be sure that the Leeds-based pairing of Lucy Hall and Jessica Learmonth will be doing everything in their power to make it a tough day for Jodie and everyone else. Two of the best triathlon swimmers in the world, they can combine that skill with great cycling ability too, and this year have used that 'from the gun' tactic to good effect on a consistent basis, none more so than when winning Gold and Silver at the ETU Triathlon European Sprint Distance Championships. Expect them to lead out of the water - with third place perhaps some way behind? - and then go straight into 2-up TT mode. Will that be enough to hold everyone off over the Olympic distance? It will be fun to find out. A Hall/Learmonth duo reaching T2 alone would set up a very exciting 10km run, given the talent behind that would be chasing them. From one European Champion to another. India Lee has been sensational this year. From a first ITU World Cup victory in Cagliari to European Champion in Lisbon, Lee has once again moved on her performances to another level from 2015. Winner of the Blenheim Triathlon for a second consecutive year, she'd love to add the London Triathlon to her C.V. While she'll surely be behind after the swim, such has been her progress in the water that the deficit should not mean 'game over'. Several Australian athletes are also in town, many also appearing next week at Tri Liverpool. Top ranked of those is Charlotte McShane, who took second here 12 months ago. She was close to making the Australian Olympic team and is currently ranked no. 8 in the Columbia Threadneedle Rankings. Other Aussies racing include Grace Musgrove, Natalie Van Coevorden, Sophie Malowiecki and Tamsin Moana-Vale.